Late Dynastic Period ? 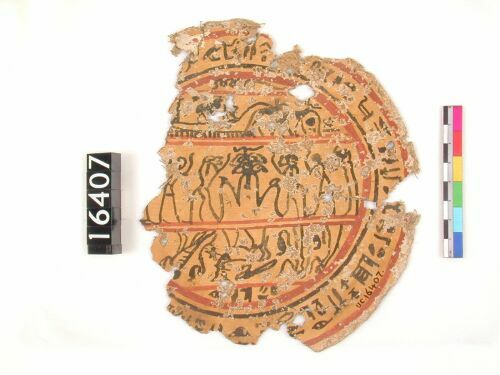 Ptolemaic Period ? Hypocephali are round discs most often made in cartonnage or papyrus. 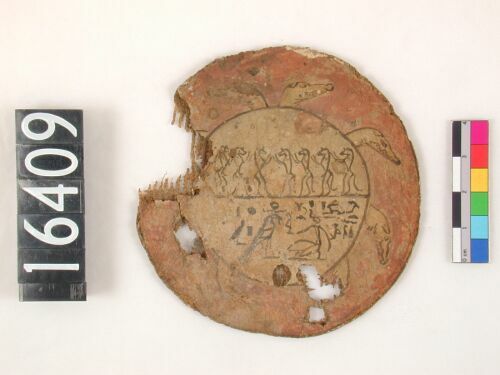 There are amulets to 'feel the flame of Ra', placed under the head for the rebirth of the dead. They are often inscribed with chapter 162 of the 'Book of the Dead'.